"When I was a boy . . ."
I was a child, and I was innocent. I trusted someone and that person stole my trust, my innocence, and my childhood. I've suffered because of the actions of another person. No matter how caring, kind, or warm the perpetrator may have appeared to be, he or she took advantage of me. If we can focus on our childhood and realize how immature and innocent we were, we can also remind ourselves that we couldn’t reason the way we do today as an adult. We may also have taken the guilt on ourselves for what happened. We remind ourselves: I was a child and the abuser was a perpetrator. If we’re typical, we’ve already gone through (or are now going through) a period of questioning and doubting while vague, often terrifying memories occasionally intrude. Deep inside, something nags at us. Yet in our most vulnerable moments, we know the truth that someone stole our innocence. One of the reasons I write this blog twice weekly is to remind myself and others that we're not the only ones. I knew I wasn't the only victimized kid, but I felt as if I were. Many of us have been where you have been or where you are now. We've felt the same kinds of pain you have. More than just having been there, we have survived and are still overcoming the trauma. In the early days of healing, any of us need to remind ourselves a hundred times a day that someone victimized us. Or it might be easier to say, "Someone older and more powerful took advantage of my innocence and youth." We need to do it because we want to convince ourselves that we made up the stories, that it didn't really happen to us. We don't want to feel demeaned (although we are) and we don't want anything to reflect on our masculinity. And we need to tell ourselves that we won't start a sentence with the words, "I should have . . ."
Go back to the beginning. Start with, "When I was a boy . . . ." That beginning can help us become kind and compassionate to ourselves. We didn’t know how to cope with such seductive assaults—especially when it was someone we trusted who whispered, "I love you and I won’t hurt you." Now we may choose to say, "When I was a boy, he lied to me." To make it worse, he bribed us, called us special, or made us feel loved and wanted. We were wanted, but for his needs and not ours. Today we hurt because in childhood we were victimized. "When I was a boy" starts my story. Now I am an adult and I'm healing from my childhood. From my own experience and learning about other survivors, we usually start the healing journey by telling someone. That someone may be a person we've learned to trust, or we take the risk, hoping that person will understand. Usually we start with innocuous statements and little detail, thinking if they can accept that, we'll tell more. It's sad, but sometimes those first answers push us back into silence. "I'm sorry," or "That was long ago." They don't mean to be unkind, but I assume that's a safe way for them to signal that they're not going to be comfortable or compassionate in listening. The worst response is, "You're imagining everything. Who would do such a thing to a child?" Such responses usually come from family members who refuse to face the reality. Then someone does understand and we sense that. Once we break the silence with a single, caring individual, we're ready to start healing. Some rush to see a professional, and it's an excellent healing step. They can open up and have someone listen. Others, like me, can't face opening ourselves to someone we don't know. I needed someone I could trust and who cared for me. Having a reliable person was like reversing the process. Someone I trusted violated me; a second person I trusted opened the door to healing. Regardless, we're constructed in such a way that telling is the only viable way to healing. As long as we hold the pain inside, it never goes away. We may temporarily bury it, but it won't stay buried. Here's one of my sayings: I know of myself only what I say of myself. That means, I know who I am only by saying the words, hearing them accepted, and affirmed by someone else. That "witness" verifies my experience. only what I say of myself. Counselor Dr. Gordon Grose refers to a study of 17,000 people in which experts analyzed the effect of Adverse Childhood Experiences (ACE). 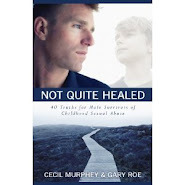 They examined ten categories, including physical and sexual abuse, and they followed their lives. "Fifty years after those traumatic events, the study matched the person's current state of health and wellbeing against their ACE score. . . . Results revealed the strong relationship between increasing ACE scores and chronic depression in men and women in later life." Grose also stresses the correlation between increased ACE scores, increased health costs, and decreased life expectancy. "People tend to respond to early injustice with life-long self-destructive tendencies. It's as if they tell themselves, If I can't make someone else pay, my body will." The lesson for us is that the pain and anger of childhood will come out in some form—unconsciously. The more obvious way is anger at others. If we assume the results are correct, what do we do? The answers vary for each of us, but this much is clear: We need help for those outcroppings. Too often we treat anger as something different and separate. But it's really a symptom. Tragedy Transformed by Gordon S. Grose (BelieversPress, Colorado Springs, CO: 2015, p 49–50). I used to wonder why victims of molestation feel responsible for the damage done to them by sexual abuse. I was one of those who felt responsible even though I had no control over my innocence being stolen from me. 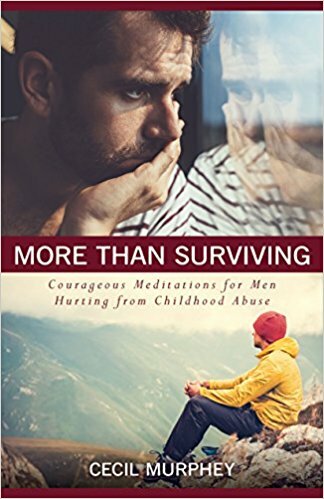 In my own story and in the stories I know of other men who have been molested in childhood, we felt guilty. We were unable to reason out that the wrong was done to us, not that we were wrong. The self-blame seemed to come from realizing we suddenly "know too much." The culpability I accepted kept me from talking to anyone, or seeking safe adults to whom I could talk. An insight, which helped overcome my sense of guilt, was to realize that I wasn’t the one who was tempted to do something that went against the laws of nature and God. Something abusive was done to me. By realizing that truth in my journey of seeking healing from the damage of the abuse, it becomes easier to believe that it wasn’t my fault and there was nothing I could have done differently. I’ve also considered how my own abuse isn’t an excuse for actions that I’ve taken because of my brokenness. I’ve never sexually abused anyone, yet I’ve acted out of my own woundedness and I have hurt those I love the most. If people can still love me in spite of that, who am I to withhold love, grace, and forgiveness when I’ve been wronged? I was never a perpetrator, but I might have been. They assaulted us, and they are also victims. They too live in pain. I've said that sentence hundreds of times when I refer to perpetrators. I've chosen to say it that way instead of seeing them as vile and totally evil. I sometimes wonder if their pain isn't worse than most of us survivors. If they were molested, they not only have to cope with those issues but also struggle with the driving compulsion to do to other children what was done to them. It's not that they don't know what they're doing, but I see it as a drive so strong they can't defeat it. As I've studied the research, it's common for the perpetrators to rationalize their actions. Here's how I define rationalize: It's an attempt to provide a reasonable explanation or to justify wrong or unacceptable behavior with a logical explanation. To rationalize isn't a thought-out action, but it's instinctive—an act to "save face" for unacceptable actions. The research doesn't excuse them and might even make us angry. I also realize that it means the victimizers probably can't face the heinous crimes they committed so they give themselves explanations to be able to live with themselves. The only way they can live with their actions is to find some way to self-justify. If they face themselves—and it occasionally happens—they loathe themselves and their actions. One former predator said, "It was like an addiction. After each time I sat and cried, pleading with God to take away the desire." They ruined many lives, but worse—for them—they ruined their own lives. God, give me compassion for perpetrators. I'm not a perpetrator, but I might have been. 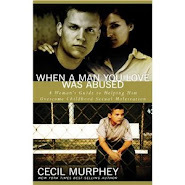 As I've examined my life and heard the testimonies of many abused men, I understand that some violated others because it was learned behavior. They tended to do to others what was done to them. They followed a pattern they learned through their own sad victimization. Instead of remaining victims, they became the victimizers. I don't think it was an intentional, deliberate decision. It seems like a natural progression. The injured boy grows up and practices what he knows as a form of sexual or emotional satisfaction. He copies what he observed and what was done to him. He wouldn't think in those terms, but by reversing roles he becomes the person with power. He reaches for what he wants and he learns how to do it because he was once the prey. Think again about ourselves as children. For a few minutes at a time we felt loved because we were needy boys who received physical intimacy. We had some awareness of what it felt like to be loved. It was false and transitory, but the experience was real. Those may have been the only tender expressions we experienced in childhood. At least for me, they're the only ones I remember. I'm not trying to excuse exploiting children, but I am trying to understand those who do such heinous acts. It helps me to compare them with those who are addicted to drugs or alcohol. The honest ones speak of what it's like when they got high. They tell me they were free from worries, able to forget the misery of their lives, their lack of feeling loved, or the awareness of hating themselves. I'm not excusing the behavior of perpetrators, but I've determined to understand. I want to open myself to forgiving those who hurt me. In doing so, I move further down my own healing path. I can't be responsible for their decision, but I can forgive them. as I seek to understand their actions, I also seek to forgive them. I hate that I was sexually assaulted and physically beaten as a child. So many times I've wished it hadn't happened. But it did. Despite the fact that I've been on the healing path for years, I continue to learn about myself and how my painful childhood has carried into my adult years. One wonderful insight has emerged: I've learned to reuse my pain. That may not be a sophisticated way to say it, but it helps me to think in those categories. Recently, people have said many nice things to me about being a good listener, encouraging them, and being compassionate. For a long time I tried to stop them and said, "That's not who I am." I knew my heart, and when I thought about qualities such as compassion I'd grade myself about a C minus. I'm sure that's because I still struggled with my lack of self-esteem. Then it hit me. When I was a child, no one listened to me, especially when I tried to talk about serious things. I don't recall anyone encouraging me or expressing compassion. Perhaps a few individuals did listen, encourage, or express sympathy, but I wasn't aware. As I’ve acknowledged those positive qualities others perceive in me, I think of it as reusing my pain. That is, I give to others what I didn't receive. I turn my pain inside out. That wasn't a conscious decision, but it was a healthy reaction in coping with my painful childhood. as an adult, I reuse my pain by caring for others. I don't recall that anyone ever said, "You're nothing," although I believed I was worthless and a really bad kid. My baby brother, Chuck, whom I am sure was also sexually assaulted, once said—in a moment of rare insight while drunk—"I'm nobody. Nothing. Worthless. And I hate my life." We were at a family gathering at a park and Chuck turned and walked away from me. That incident happened about six years before memories of my abuse sneaked out of the hidden caverns. And yet I vividly remember his words and the pained expression on his face. Chuck was hardly the introspective type and that was quite an admission from him. Since then I've met many men who received that message of worthlessness—some being told, others absorbing the concept. Regardless, we believed a terrible lie. None of us is worthless, but I can't convince anyone of that by words. As I see it, only by our being loved and valued by someone who cares about us can we escape that untruth. I know I'm of value. This morning as I came out of the shower I stared at my legs in the mirror. "You're skinny," I said to my mirror image. Perhaps that doesn't sound like much to most people. I am thin, and people have long teased me about it. Years ago, I read that bulimics and anorexics saw themselves as grossly overweight and I wasn't either. I was just a slightly chubby guy. And I lived with that perception most of my adult life. What I saw for years wasn't reality—I know that now. But it shocked me to realize that I had "seen" and accepted the distorted image. I tried to explain my distortion to a close friend and he didn't seem to get it. But for me, truly seeing my thin frame was one of the most exciting and positive inner proofs of my healing. As I saw my body reflected accurately, it made me realize I was now seeing many things differently. And I like what I see. "I was blind, but now I see."